A novel by the Great Beast himself, the “wickedest man in the world”. 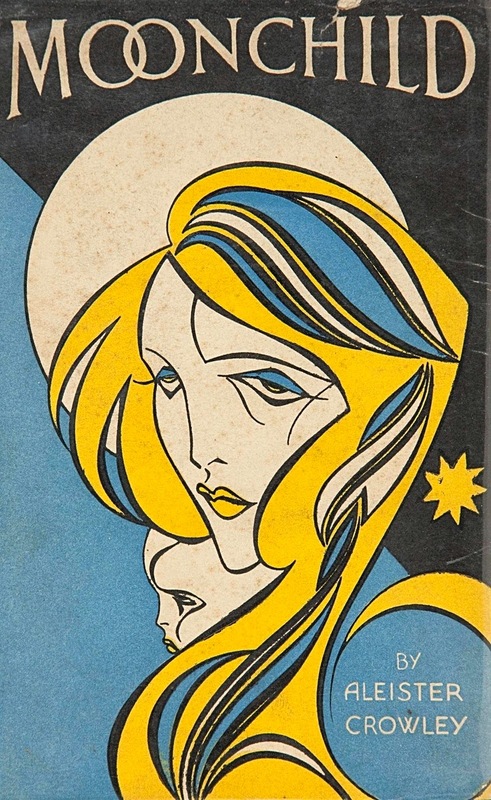 I’m told it helps a great deal if you have some familiarity with Crowley’s magical system (about which I confess I know very little), but Moonchild is still a surprisingly entertaining read. It tells the story of a magical operation to secure the influence of the moon on the birth of a child who is to become a great redeemer and spiritual being. The white magicians trying to bring this about find themselves in conflict with black magicians. Crowley’s prose is witty and wickedly satirical. Most of the characters are portraits (and generally very unflattering ones) of prominent people involved in the occult in the early part of the 20th century, including the poet W. B. Yeats. The story itself gets just a little tedious in places, as Crowley tells us rather more than we really need to know about the mechanics of the operation. If you’re more interested in the mechanics of magick than I am, though, you probably wouldn’t find it tedious at all. The style was pleasing enough to keep me reading to the end, and overall I found it entertaining. The novel was in fact written as an attempt by Crowley to disseminate his magical theories to a wider audience. It was written in 1917 but not published until 1929. For those who are interested in Crowley (who was certainly an extraordinary character), or the history of magic in modern times, it’s essential reading. Charles Fulton Oursler (1893-1952) wrote a number of detective novels in the 1930s and early 1940s under the name Anthony Abbot. These novels featured his series detective Thatcher Colt. 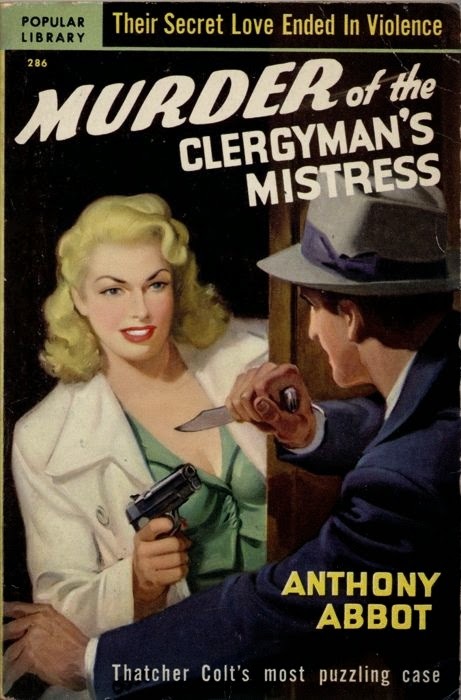 Published in 1931, About the Murder of the Clergyman’s Mistress (also published under the abbreviated title The Murder of the Clergyman’s Mistress) was the second of the Thatcher Colt mysteries. Abbot seems to be generally regarded as belonging to the “S.S. Van Dine School” and his approach is certainly not dissimilar to Van Dine’s. In fact if you’re a person who enjoys almost everything about Van Dine’s novels apart the character of Philo Vance then you’re probably exactly the sort of person who will enjoy Anthony Abbot’s work. Thatcher Colt is as brilliant as Vance, and like Vance he is a man of education and wide reading. He does not however have the Philo Vance mannerisms that irritate so many readers. While Colt is clearly an educated man he lacks Vance’s aristocratic pretensions. Van Dine’s novels take place mostly among the upper classes. This is also true of About the Murder of the Clergyman’s Mistress, although perhaps to a slightly lesser extent. Thatcher Colt is the New York Police Commissioner. Police Commissioners do not usually involve themselves in the actual investigation of crime but Colt is the exception. He is the sort of man who would have been an enthusiastic amateur detective and being Police Commissioner allows him to indulge this enthusiasm. The novel opens with the discovery of two bodies in a dinghy. One of the deceased is an Episcopal clergyman, the other is an attractive young woman. Thatcher Colt wants to preserve the crime scene intact so he has the dinghy, with the two bodies still in it, transported to the city morgue. Colt is in possession of several important clues although they are clues that everybody else seems inclined to dismiss as being obviously of no importance. When Colt insists on fingerprinting a cat that was found (very much alive) in the murder dinghy his colleagues think he must be losing his grip but he knows that the cat is a material witness, and Thatcher Colt does not believe in overlooking any material witness. As is customary in the detective novel there is a wide choice of suspects. At one point Thatcher Colt advances half a dozen different theories involving half a dozen different hypothetical murderers merely to illustrate the dangers of jumping to conclusions. This is very much a story that adheres to the puzzle-plot formula. And the author proves to be very adept indeed at that formula. That’s not to say that he neglects characterisation altogether. If it is true that an excessive concentration on characterisation is a disadvantage in a puzzle-plot detective story it is also true that it is very useful for the writers of such tales to have the ability to offer the reader quick sketches of the characters of the actors in the drama. It is even better if the author can make those sketches colourful and vivid. Abbot does this rather successfully. An odd but interesting feature is that on occasions the novel shows sign of veering towards the police procedural format as the author explains some of the latest forensic policing techniques. Readers will be amused by the account of the “false doorknob” technique used to collect fingerprints at a time when the police had no authority to take fingerprints from suspects. We are also treated to a quite extraordinary piece of knowledge (assuming that it is accurate) when Colt requests the assistance of New York’s City Forester in identifying a leaf found in the murder dinghy. Colt is, perhaps rather optimistically, hoping to use the leaf to find the actual scene of the murder. The City Forester is able to offer the remarkable assurance that his department knows the location of every tree in New York City. All ten thousand of them. Abbot adopts the tried and tested method of having as first person narrator a relatively minor character who plays no active role in the plot but who is nonetheless in a position to witness all the important events of the novel. In this case the narrator is Thatcher Colt’s private secretary and trusted confidant. The plotting is intricate but Abbot is never in danger of losing control and he is always careful to maintain believability even when things get very complicated. He is able to tie things together very successfully to produce an ending that is both satisfying and plausible. Abbot’s prose is stylish without succumbing to Van Dine-like excesses. Overall a very fine detective yarn by a writer who appears to be most unjustly neglected. Highly recommended. Anthony Hope’s The Prisoner of Zenda was published in 1894 and was an immediate immense success. It has remained in print ever since and is widely regarded as one of the immortal classics of adventure fiction. 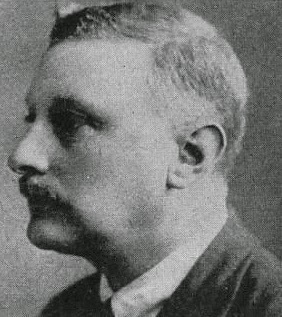 Sir Anthony Hope Hawkins (1863–1933) had divided his time between his writing and his career as a barrister. The success of The Prisoner of Zenda led him to devote himself to writing as a full-time career. He prospered as a writer although he would never again achieve the same level of success that The Prisoner of Zenda had brought him. Inevitably he produced a sequel, Rupert of Hentzau, which appeared in 1898 and sold extremely well. The fictional central European country that provided the setting for the novel, Ruritania, became as famous as the novel itself and indeed gave its name to an entire sub-genre of adventure fiction - the “Ruritanian romance” sub-genre. The Prisoner of Zenda has been filmed so many times and has been copied, homaged and parodied so often that it’s easy to forget that in 1894 the plot was fresh and fairly original. An English gentleman, Rudolf Rassendyll, visiting the central European Kingdom of Ruritania has a chance encounter with the king of that country. As it happens Rassendyll and the king are distant cousins and it is immediately apparent that their resemblance is startling, almost uncannily so. This resemblance will have fateful consequences. The king’s brother, Duke Michael, is plotting to usurp the throne and in order to further this plan he is determined to prevent the king’s coronation from taking place. The king is drugged and it seems that Duke Michael’s plan must succeed. At the last moment the king’s advisers hatch a desperate plan - Rudolf Rassendyll will impersonate the king at the coronation. This is dangerous enough but when Duke Michael kidnaps the king Rudolf Rassendyll finds himself having to go on with his impersonation until some means can be devised to free the king. Rassendyll also finds himself having to play the role of suitor to the Princess Flavia, the intended bride of the king. This proves distinctly awkward when Rassendyll realises he really is falling in love with the princess. The plottings and counter-plottings of the king’s supporters and Duke Michael’s adherents and the desperate attempts to free the king provide plenty of excitement. Rudolf Rassendyll is an interesting hero, a brave and noble chap but one who is sorely tempted to take advantage of his situation. He is therefore a surprisingly complex and potentially at least a flawed hero. Duke Michael is a sinister but shadowy presence. Both the major hero and the major villain are however totally overshadowed by a subsidiary villain, Rupert of Hentzau. Rupert’s villainy is exceeded only by his courage and daring. In fact his courage and daring are of such a high order that on more than one occasion when Rudolf Rassendyll has the opportunity to end Rupert’s career of villainy he cannot bring himself to kill such a charming scoundrel. Rupert is a magnificent character and it is no surprise at all that Hope went on to feature him as the leading character in the sequel. Although no-one could have predicted it at the time, within twenty years of the publication of the novel the world it so lovingly describes, a world of kings who put the welfare of their kingdom ahead of their own interests, of princesses who are willing to sacrifice happiness for the sake of duty, of noble courtiers who cheerfully risk their lives for king and country, of subjects who are devoted to the person of their monarch - all of this would be swept away. Ruritania is a fictional country but it is a country that could have existed in 1894. It is not a country that could exist in the post-Great War world of dictators and democracies. This lost world feel gives an added piquancy to the tale. 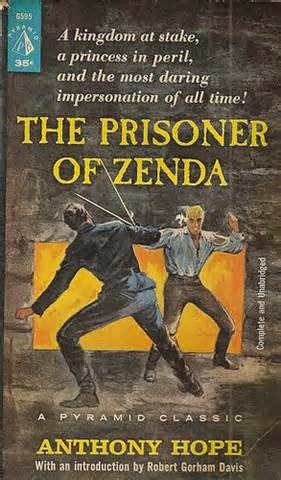 The Prisoner of Zenda is a fast-paced tale of adventure and romance that lives up to its reputation. Highly recommended. Major Cecil John Charles Street (1884-1964) was the author of around 140 detective novels, including more than 70 published under the pseudonym John Rhode and featuring his best-known detective, Dr Priestley. The Motor Rally Mystery, which appeared in 1933, was the fourteenth of the Dr Priestley mysteries. It was published in the US as Dr Priestley Lays a Trap. The Motor Rally Mystery differs in several ways from the conventional golden age detective tale. It is not strictly speaking a fair-play puzzle-plot mystery. The main emphasis is on the unusual and very clever murder method, and on the brilliant and intricate manner in which Dr Priestley elucidates this method. Three friends are taking part in a motor rally. Bob Weldon has entered his powerful Armstrong-Siddeley saloon in the rally and is confident it will give a good account of itself. His co-driver is a business associate, Richard Gateman. The third member of the team is a younger man, Harold Merefield, who task is to take care of navigation. Harold Merefield happens to be employed as a private secretary by Dr Launcelot Priestley, a circumstance that will become important. The three men are having a rather frustrating time of it, having been delayed for several hours by a fog and they will be struggling to reach the next control point within the allotted time. They are however not destined to reach that control point or to finish the rally. They see a Comet sports car that has run off the road into a ditch, apparently at high speed. This car is also competing in the rally. The three friends naturally stop to see if they can render any assistance and make a grim discovery. The driver of the Comet and his passenger are both dead. They naturally notify the police at once. Their investigation is fairly brief. This was obviously a tragic accident, and at the inquest a verdict of accidental death is returned. The matter seems to be resolved, until a curious discovery is made. The driver of the Comet sports car was an Aubrey Lessingham, but the Comet sports car in which and his cousin and co-driver Tom Purvis were killed was not Aubrey Lessingham’s car. It was a car of identical make and of the same colour, but the chassis number and the engine number reveal that it is a different car. This odd circumstance leads Superintendent Hanslet to suspect that Lessingham had been involved in a car theft racket. At this point Hanslet’s old friend Dr Priestley takes an interest in the case. Dr Priestley comes to a most startling conclusion - there has certainly been a crime committed but the crime is not car theft, it is murder. In order to solve this crime Dr Priestley will have to reconstruct an extraordinary and intricate sequence of events and the way in which he does so constitutes a tour-de-force on the part of the crusty scientist-detective, and an equally impressive tour-de-force on the part of the author. Those who insist that their golden age detective yarns should conform to the rules of fair play will have some major issues with this book. In my view these issues have nothing to do with any lack of competence on the part of the author; he was simply not interested in writing a conventional puzzle-plot mystery although no-one familiar with his book could reasonably doubt that he was perfectly capable of writing very fine books of that type. In this instance he was trying something slightly different. On the basis of the few John Rhode books I’ve read so far I’d be inclined to say that the author liked to vary his approach at times, and on occasion to be slightly daring. I find it difficult to understand critics who have dismissed him as a dull writer. To me he seems anything but dull. As in the other books in which he features Dr Priestley proves to be a very satisfying fictional sleuth. He is a scientist and he is at his happiest whenever he has discovered an embarrassing mistake in the work of a fellow scientist. If the mistake happens to be found in an extremely arcane and esoteric piece of research he is even happier. He takes a similar approach to the science of detection. Dr Priestley can be relied upon to express his disagreements with accepted theories in a trenchant and rather acidic manner. He is not perhaps a man to inspire instant affection but his penetrating intelligence and his refusal to take anything for granted make him an entertaining and stimulating companion. In The Motor Rally Mystery his unwillingness to take even the most apparently obvious and clear-cut facts at face value is shown to particularly good effect. Golden age detective fiction purists may take issue with this book but if you’re prepared to accept it on its own terms it’s delightful entertainment. Highly recommended. In the mid-1930s a British publisher offered a substantial prize to any author who could produce a fictional hero of the gentleman-thief variety who would be a worthy successor to the famous Raffles. The prize was won by John Creasey, with a book called Meet the Baron which appeared in 1937. This marked the beginning of the career of The Baron who would go on to figure in several dozen novels and would become one of Creasey’s most popular heroes. 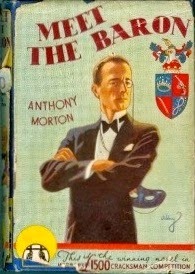 The Baron novels were originally published under the name Anthony Morton, one of Creasey’s many pseudonyms. Englishman John Creasey (1908-1973) was possibly the most prolific writer of all time, publishing at least 562 novels. The most surprising thing about this is that so many of his books are extremely good. Meet the Baron introduces us to John Mannering. Mannering is a well-educated man about town in his late 30s and is generally assumed to be extremely rich. In fact he has never been more than mildly well off and thanks to an extravagant lifestyle his financial position has become a cause for concern. Things come to a head when he falls in love with a young lady and proposes to her. When she discovers that he isn’t fabulously rich she turns him down. Mannering is rather shaken by this. On the one hand he is grateful that he discovered the lady’s true nature in time. Marriage to a woman who is now revealed as shallow and selfish would certainly have been a disaster. On the other hand Mannering is not only left wiser but more cynical on the subject of human nature, he is also led to adopt an increasingly reckless lifestyle. His limited financial resources are running out rather quickly. One option of course would be to live a less elegant and extravagant lifestyle. This is such an absurd idea that he refuses to give it serious consideration. Another option would be to find a job, an even less appealing idea and in any case given the extravagance of his lifestyle it is unlikely that he would be able to find employment that would be sufficiently remunerative to meet his needs. That leaves only one serious option. John Mannering will have to become a thief. The more he considers this idea the more he likes it. It is likely to be a good deal more interesting than most professions and it involves a very real element of danger. Mannering has always been susceptible to the glamour of taking risks and this tendency has become much stronger since his romantic disappointment. He knows very little about burglary but presumably it is a skill that an intelligent man should be able to pick up fairly quickly. In fact, as he soon discovers, burglary is by no means as easy as he had imagined. The burglaries themselves present all sorts of unexpected dangers but other aspects of the profession present even greater risks to the inexperienced. It is necessary to find a reliable and trustworthy fence, by no means an easy thing to do when you lack a network of criminal acquaintances. Despite the risks Mannering finds that burglary offers him an exhilaration that even gambling had not previously offered him. He soon becomes fairly successful and gains a certain amount of notoriety as The Baron. Things get slightly complicated when he falls in love again. Lorna is somewhat unconventional but even an unconventional young woman is likely to be dubious about the prospects of marrying a thief. For a daughter of a lord to marry a professional burglar is not quite the done thing. Mannering has another problem. Inspector Bristow of Scotland Yard is determined to bring The Baron to justice and he’s a competent and determined policeman. Meet the Baron offers plenty of thrills as The Baron manages to keep just one step ahead of Inspector Bristow while pulling off some very daring robberies. The book however has more to offer than mere thrills. John Creasey had a gift for creating intriguing and complex characters with potential for future development and John Mannering is no exception. Mannering’s psychological motivations are explored in surprising depth. He is brave and resourceful and despite his criminal activities he has a moral code of sorts. He also has a definite streak of self-destructiveness, or at the very least a reckless disregard for his own safety. Creasey gives us a vivid portrait of a man addicted to risk-taking for its own sake. 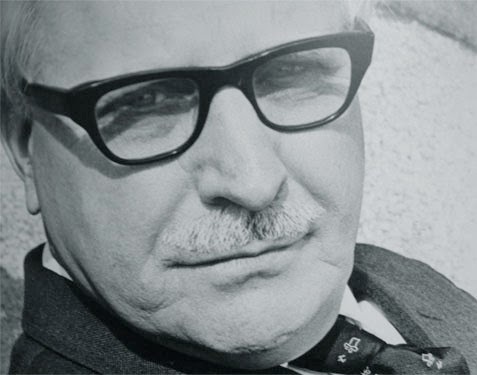 You might think that a writer who once wrote 37 novels in a single year would be rather slapdash but in fact Creasey was a disciplined and competent writer and a reasonably polished one, certainly more polished than the average practitioner of pulp fiction. His attention to characterisation means that his thrillers offer more than just thrills. Meet the Baron is a worthy introduction to one of the most enduring fictional heroes of the 20th century. Highly recommended. Alfred Walter Stewart (1880-1947) was an eminent British chemist who had, under the name J. J. Connington, achieved considerable success as a writer with his 1923 science fiction novel Nordenholt's Million before turning to detective fiction. 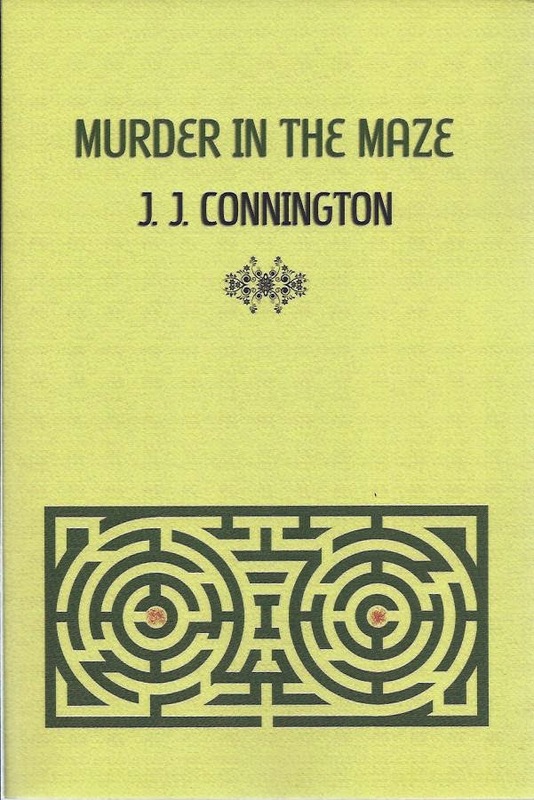 Murder in the Maze, published in 1927, was the first of his Sir Clinton Driffield mysteries. Sir Clinton Driffield is the Chief Constable. As such he would normally leave the actual investigations of crime to his subordinate officers but Sir Clinton Driffield prefers a much more hands-on approach. In fact in this novel he conducts the entire investigation himself. Driffield is a somewhat acerbic sort of man. He also deliberately cultivates an extreme ordinariness in his appearance. Anything he can do that might lead a criminal to underestimate him is a plus in his book. In this case this quality will be particularly important, since at a crucial stage it is absolutely imperative that the criminal should make the mistake of assuming that Driffield has been guilty of a rather foolish act of negligence. Driffield is also a policeman who is not averse to taking risks, even quite serious risks. As the title suggests a maze will play a vital part in this story. The maze is located at Whistlefields, the country house of Roger Shandon. The maze is an unusual one, having two centres rather than one. It is also rather more elaborate that the mazes to be found at other country houses. The maze will be the scene of not one but two murders, carried out more or less simultaneously at the two centres. The victims are twin brothers which leads to the suspicion that one of the two may have been killed in error, a case of mistaken identity. Sir Clinton Driffield is however keeping an open mind on that point. This is essentially a classic country house murder with a strictly limited cast of possible suspects. There is one difference however, one circumstance which might indicate that the murder was not an inside job. Connington often gives the impression in his fiction that he has a rather jaundiced view of humanity. This reaches an extreme in The Castleford Conundrum, a detective novel which contains not a single genuinely sympathetic character. This tendency is not quite so marked in Murder in the Maze but this novel certainly has its share of disreputable and morally dubious characters. It has to be said that Connington was rather good at creating such unsympathetic characters, and at making them interesting in spite of themselves. While Connington was renowned principally for his skill in plotting he does not neglect psychology. The ideal detective tale is one in which only the actual murderer could have physically committed the crime, and at the same time the murderer proves to be the one person who could psychologically have been the guilty party. Murder in the Maze fulfills both of these conditions. The maze itself is a kind of gimmick, or at least could have been a gimmick in the hands of a lesser writer. Connington however makes us feel that this is a crime that really could not have been committed anywhere else. The setting is an absolutely indispensable part of the murder, or in this case murders. Murder in the Maze is a work by one of the best crime writers of his era, at the top of his form. Highly recommended. Re-reading At the Mountains of Madness recently has inspired me to revisit some other H. P. Lovecraft stories, in particular his novella The Shadow Over Innsmouth (written in 1931 and published in 1936). The Shadow Over Innsmouth includes virtually all of the elements most characteristic of Lovecraft’s fiction. It deals with cultural decay, racial degeneration, madness, forbidden knowledge, malevolent cults and inherited evil. An impoverished student is making a tour through New England. Finding that travel by rail will soon exhaust his meagre financial resources he rather unwisely allows himself to be persuaded to make the journey to Arkham by means of a bus service stopping at Innsmouth. The bus service is run by a native of Innsmouth. The inhabitants of Innsmouth are shunned by the citizens of other nearby towns. They are evasive as to the reasons they hold the denizens of Innsmouth in such abhorrence although it appears to have something to do with a catastrophic plague that decimated the population of the town in the 1840s, and to be due to an greater extent by the vaguely disturbing oddness of the natives of that town. The student is rather fascinated by all this and decides to break his journey and spend a day in Innsmouth. He has a keen interest in architecture and is something of an amateur antiquarian and Innsmouth has much to interest such a man. He finds the locals to be secretive to an extraordinary degree but he finds a very old man who can be persuaded, by being plied with large quantities of whiskey, to tell him the town’s history. A certain Captain Obed Marsh, during his trading trips to the South Seas, had encountered a native tribe who had struck a bargain with mysterious creatures from beneath the sea. The natives were rewarded by fabulously rich hauls of fish and gold artifacts, but at the price of making human sacrifices to these strange fish-like amphibian creatures. An even greater reward was on offer - immortality. The price for this was an agreement to interbreed with the sea-creatures. Captain Marsh had learnt that these sea-creatures could be summoned in many places and rather rashly summons them to Innsmouth. The strange and vaguely repellant appearance of the inhabitants of Innsmouth is the result of interbreeding with these amphibian creatures. The student soon discovers that the horrors of Innsmouth are not confined to the distant past - they are very much alive in the present day. Like many another Lovecraft protagonist he finds that the search for knowledge about things best left undiscovered leaves him tottering on the brink of insanity. This borderline insanity has other far more personal and horrifying causes however. Lovecraft’s stylistic quirks and love for purple prose are on full display here. While conventionally minded critics have seen these things as weaknesses they are in fact part of a carefully considered and very deliberate technique. Lovecraft wants to create an atmosphere of near-hysteria. A less overheated and overwrought prose style would not have served his purposes. 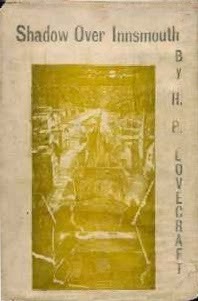 In this novella Lovecraft also uses his favourite technique of having the narrator reveal the full extent of the horrors he has witnessed in a gradual manner, throwing out plenty of hints but being reluctant to give the full facts until he is forced to do so. The reader, especially one familiar with Lovecraft’s work, will connect the dots long before the narrator does so (and will be quite unsurprised when Cthulhu puts in an appearance). This again is a deliberate strategy on Lovecraft’s part. His narrators simply do not want to connect all the dots, partly from a fear for their own sanity, partly through a fear of being thought insane, and perhaps most of all from a reluctance to admit to themselves the full and horrific ramifications of what they have witnessed. They want to imagine that perhaps they are mistaken, that perhaps there might be a rational explanation, even when they know that there can be no rational explanation. The Shadow Over Innsmouth has been regarded as expressing Lovecraft’s horror of miscegenation. In fact the overriding theme in Lovecraft’s fiction is the danger of civilisation collapse and racial degeneration. These were widely accepted at the time as very real threats. The descent of once great and powerful civilisations such as China and the Ottoman Empire into chaos, corruption and eventual collapse had demonstrated that civilisations could indeed collapse. The fear of racial degeneration was shared by a large number of contemporary thinkers including many who were firmly in the “enlightened” and “progressive” camps. Many contemporary socialists such as H. G. Wells, Bertrand Russell and Bernard Shaw saw eugenics as essential for the survival of civilisation. Lovecraft’s views on these subjects were absolutely mainstream at the time. The novella also illustrates the extent to which Lovecraft saw the sea as a source of horror, harbouring a variety of malevolent entities and races. The combination of the sea and remote communities provides the quintessence of Lovecraftian horror. The Shadow Over Innsmouth is a major work in the Lovecraft canon and a wonderfully effective example of his horror technique. Highly recommended. English newspaperman R. A. J. Walling (1869-1949) took to crime writing very late, being nearly sixty when his first mystery was published. For the next twenty years he averaged better than a book a year. As a crime writer his reputation rests mainly on his twenty-two Philip Tolefree novels. The Five Suspects was the sixth of the Tolefree books, appearing in 1935. Philip Tolefree is a private enquiry agent although one gets the impression that being a detective is more of a hobby than a means to earn a living. He is clearly a well-educated man and his languid manner points to an upper-class background. His lack of interest in money suggests that he is not a man who needs to concern himself greatly about such sordid details. Tolefree is prepared to co-operate with the police when it suits him but it also not averse to keeping important pieces of evidence to himself. He has nothing against the police although he has no great regard for their abilities as detectives. Tolefree is generally assisted by his friend Farrar, a ship-broker who enjoys dabbling in crime-solving. The Five Suspects brings Philip Tolefree to the town of Farchester. We can assume that Farchester is somewhere in the West Country. That’s where Walling spent his entire life and it provides the setting for most of his mystery novels. Tolefree in this instance is actually on hand before any crime has been committed. The death of a Miss Minching, a middle-aged lady with whom Tolefree had been slightly acquainted and for whom he had considerable esteem has brought him to Farchester for her funeral. On a Saturday afternoon he happens to be in the office of the elderly local solicitor Mr Spinks. Mr Spinks is the executor of Miss Minching’s estate and for some mysterious reason of his own he has asked a number of people to meet him in his office on that afternoon, his manner suggesting that he has discovered something about Miss Minching’s estate that is troubling him. The nature of his concern is destined to remain mysterious since Mr Spinks is not seen alive after that afternoon. On the following Monday morning Philip Tolefree is the one who discovers the body of the unfortunate Mr Spinks, who had apparently drowned after falling into the canal near his office. Tolefree had already noted several curious things in the solicitor’s office on the Saturday afternoon, small things but the sorts of things that a man is likely to notice if he happens to be a detective. The fate of Mr Spinks does not come as a great surprise to Mr Tolefree, and he is even less surprised when the medical examiner announces that Mr Spinks had been strangled and was already dead before his immersion in the canal. There are in Mr Tolefree’s view five possible suspects although his view is somewhat at variance with that of the police. He is inclined to believe that their favoured suspect is very unlikely to be the killer. In any case Philip Tolefree is determined to conduct his own investigation and has little interest in the views of the police. Walling was not the kind of crime writer who had any great ambitions other than to produce effective and entertaining mysteries. He could not be said to push the edge of the envelope in any way. He did however have the ability to construct satisfyingly devious plots. He also had the knack for peopling his novels with slightly offbeat and rather colourful characters. Walling’s prose is as smooth and easy-going and as pleasing as the personality of his detective. Philip Tolefree is a middle-aged man with polished manners but with a playful sense of humour. He is a very civilised man, and Walling’s novels are very civilised crime novels. The Five Suspects provides plenty of thoroughly harmless diversion and I recommend it highly.